DETROIT (AP) — An anonymous letter informed Michigan officials that they could find “a bunch of infant corpses” hidden in a crawl space of a closed Detroit funeral home, according to state records. 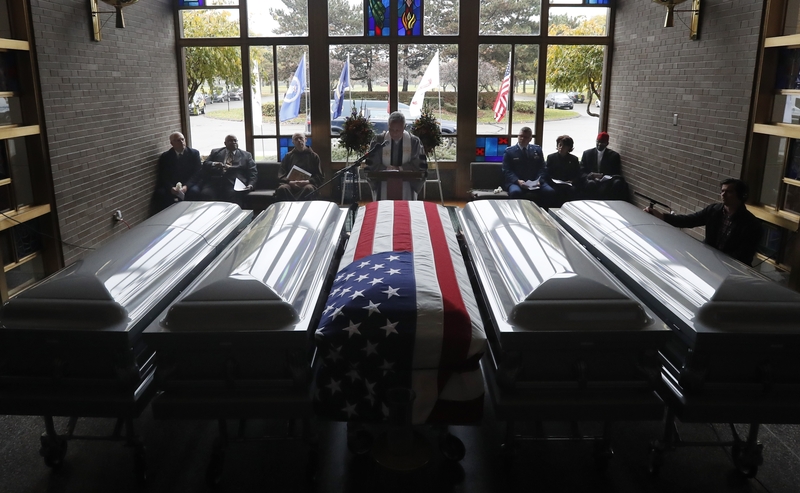 The Detroit News used the Freedom of Information Act to obtain a copy of the letter received by the Michigan Department of Licensing and Regulatory Affairs on Oct. 12, which detailed concerns about the Cantrell Funeral Home. Detroit police raided the home that same day and found the hidden remains of 10 fetuses and an infant. The letter alleged that a former funeral home employee had hidden the corpses and was searching for a way to retrieve them from the now shuttered facility. “If you look above the door there’s a crawl space and she has several infant corpse(s) placed back there dating back from over 10 years ago,” the letter said. The anonymous writer also alleged that the employee forged hundreds of documents, including death certificates. Police have opened a criminal investigation into Cantrell. State investigators suspended Cantrell’s mortuary license in April after an inspection found deplorable conditions, such as bodies covered in what appeared to be mold. Another inspection in August uncovered “a stillborn corpse in a box atop a table,” investigators said. The Cantrell facility is among several funeral homes in Michigan facing misconduct allegations. A separate police investigation is looking into the Perry Funeral Home in Detroit, where more than 60 fetuses where found in boxes and freezers in September. A judge granted class-action status Monday to a lawsuit filed against the Perry Funeral Home . Rachel Brown’s lawsuit alleges that Perry mishandled her daughter’s remains.